Wahibe Moussa is an award winning actor, a writer and emerging dramaturg and director. Since graduating from Victoria University of Technology in 2000, she has appeared in ensemble and self-devised theatre productions, as well as television shows such as SBSi’s KICK, ABC’s The Librarians and Channel 9’s Stingers. In 2007 Wahibe received the Green room Award for Female Actor in an Independent Theatre Production for her performance as “Mahala”, in Tony Kushner’s Homebody/Kabul. 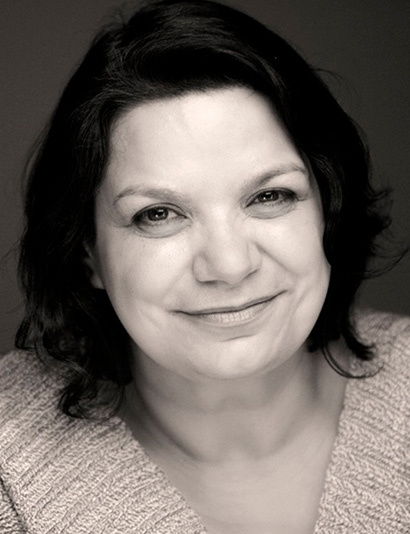 She has collaborated on a number of theatre and television projects as script, cultural and language consultant. Wahibe has co-ordinated and collaborated in Community Theatre, Visual Art and Writing Projects in Melbourne and Sydney. These projects brought together local and diverse communities in the creation of new works that continue to affect the communities who participated as well audiences and viewers. In 2012 Wahibe completed her Master Of Writing for Performance at the Victorian College of the Arts, was recipient of the Hot Desk Fellowship at The Wheeler Centre, in 2013. In 2014 Wahibe was one of ten dramaturgy interns at Melbourne Theatre Company, as part of a Playwriting Australia Fellowship initiative. In all her work, Wahibe proudly pays tribute to the spirit of her gifted grandfather who despite illiteracy was one of North Lebanon’s beloved story-tellers.